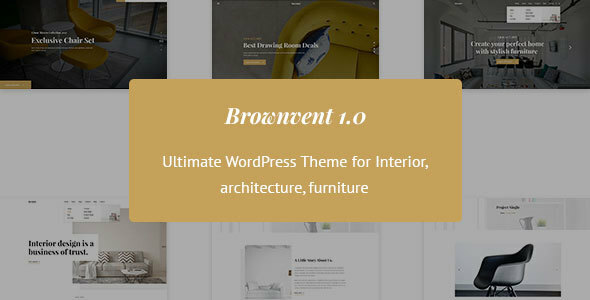 Brownvent is a modern and flexible creative WordPress theme, the theme is designed for creative company, any kind of creative shop and their clients. Brownvent is perfect for any kind of Company or E-Commerce based company website. We specially added some tools for WooCommerce, services box, call to action & other visual elements. Brownvent is lightweight so it loads very fast. Brownvent also supports translating features so you can translate this theme with any languages you want. Anyone with simple WordPress knowledge can easily customise everything in this theme, without any sort of coding! Drag and drop function, self explanatory theme option panel and widget ready functionality makes the theme awesome in every aspect. Coding standard is maintained everywhere and is coded in an SEO friendly manner. Need a complete business theme that allows you to create an awesome website for your company within a few hours? Brownvent WordPress theme is all you need! Note: Demo images are not included on main purchase.